Published: June 2, 2014 12:00 am Updated: June 2, 2014 2:56 p.m. SEVEN LAKES, N.C. — Seventy years later, Ray Lambert is still haunted by waves. 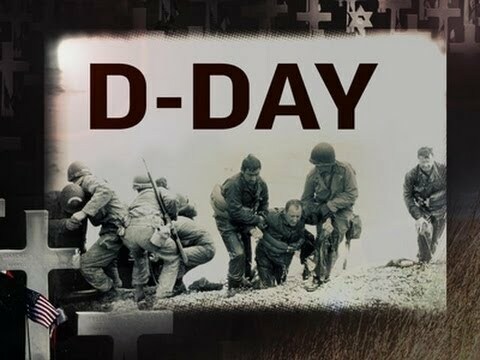 They are stories of D-Day — June 6, 1944. "There was a saying going around," recalls Richard Crum of Williamston, Michigan. "'They're fattening us up for the slaughter.'" Shay, 89, recalls the sound of shells passing overhead — both from the Germans ashore and their own ships behind them. Falcone could see the German tracers carving paths up the beach. Heading toward shore, the assault force was seasick, terrified — and angry. The Germans had fortified the beach with railroad cross ties, barbed wire and heavy steel fences known as "Belgian gates." Unable to pass, many landing craft disgorged their cargo — human and mechanical — into the open water. At the drop zone — over the village of Sainte-Mere-Eglise — a green light flashed. Lambert was applying tourniquets and doling out morphine when something — a bullet or piece of shrapnel, he's not sure which — passed through his right arm, just above the elbow. The arm went numb, but he continued his grim work. Some of the Navy fire control teams had lost their radios during the landing. Ryan, the sergeant major from Florida, says a young soldier from battalion headquarters — an Eagle Scout with a merit badge for Morse code — found a signal lamp lying on the beach and established communications with a destroyer. "And she thought for a minute and she said, 'Well, I think it's down near Myrtle Beach, isn't it?'" he says with a sigh. Cruise expects to be there when the restored "Whiskey 7" — the C-47 that carried him across the Channel — once again drops American parachutists over Sainte-Mere-Eglise. Contributing to this story were AP video journalists Ted Shaffrey in Summit, N.J., and Tony Winton in Delray Beach, Fla.; AP Writers Suzette Laboy in Melbourne, Fla., Kathy Matheson in Horsham, Pa., M.L. Johnson in Racine, Wis., and Mike Householder in Williamston, Mich.; and AP photographer Robert F. Bukaty in Old Town, Maine. Allen G. Breed is a national writer, based in Raleigh, N.C. He can be reached at [email protected]. Follow him on Twitter at https://twitter.com/AllenGBreed.